I have always suffered a bit of the blues in winter, but the winter of 2013-2014 put me over the edge. That was a horrible winter. We had 26 days between December and February where the thermometer reading was below zero. Going anywhere was a chore and took every ounce of energy. I wore what felt like 50 pounds of clothing, my eyelashes would freeze, and I had to leap snow piles on city street corners and slip slide on un-shoveled sidewalks to get to the office. It seemed like spring would never arrive. My mood and energy level that winter were abysmal. Because of that, I did a little research and read up on a condition called seasonal affective disorder. More: What if we tweeted our mental health issues like we do our head colds? 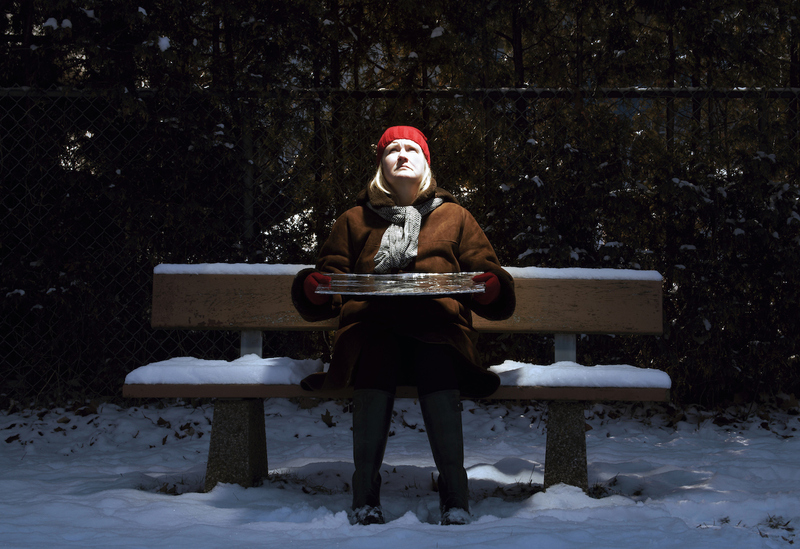 Seasonal affective disorder is a type of depression that is related to the change of seasons. It generally begins and ends around the same time every year. For most people it begins in the fall, continues through the winter, and ends in the spring. While people with SAD may exhibit the general signs of depression such as feeling blue and having low energy, there are some specific symptoms of fall-winter SAD including irritability, hypersensitivity to rejection, leaden feeling in the arms and legs, oversleeping, craving carbohydrates and weight gain. The experts think winter-fall SAD is caused by the lack of sunlight, which changes our circadian rhythms, can drop serotonin levels, and alter our melatonin levels. It’s interesting because I have always been sensitive to light. I remember as a child trying to go to bed at 8:00 p.m. in the summer and I could not sleep for anything because it was still light out. So given my sensitivity to light, it is not surprising that I have a sensitivity when there is not enough light. I generally notice that my symptoms start in late September or October as the daylight gets shorter, the angle of the sun changes, and it gets colder outside. Once the time changes back to standard time, I really notice the symptoms because I rarely see the sun. However, once March comes and the daylight is noticeably longer and daylight savings time returns, I notice a huge improvement in my mood and overall energy level. Light therapy involves sitting in front of a special light box so you are exposed to bright light. The light therapy mimics the outdoor light, so it tricks your brain and causes changes to your brain chemicals to improve mood. This is usually the first line of treatment for SAD and interestingly one I have not tried yet. This year, maybe this week even, I am ordering a light therapy box. There are supplements that you can take to help offset some of the symptoms of SAD. I started back up with my Vitamin D supplement in September. Those of us living in northern climates are often deficient in our Vitamin D because we do not get enough sunlight, especially during the winter. However, even if you live in a more temperate climate, or for us northerners wear sunscreen in the summer, you may still have deficient Vitamin D levels. In order for your body to make Vitamin D, large amounts of bare skin has to be exposed to the sun when it is high in the sky. So get your levels checked. Vitamin D is important for strong bones and a healthy immune system. According to the Cleveland Clinic there are also studies that indicate that Vitamin D can help certain cancers and autoimmune conditions. Vitamin D can also also help fight depression. Exercise is always a mood elevator that releases endorphins. If you struggle with weight gain in the winter (which makes you more depressed), exercise can help keep the pounds off. I always find that moving my body whether through a hard interval training class, yoga, pilates or even a walk, makes my mood better. I try and eat a diet of protein, healthy fats and vegetables and avoid most sugar and carbohydrates. However, SAD makes you crave all of the carbs and sugar. And eating carbs and sugar makes me feel yucky. So try and maintain the same healthy eating habits all year-round. Even if it is cold, get outside at some point during the day, preferably when there is light. Unfortunately, I do not always get to do this. Around the winter solstice, I am going to the office in the dark and coming home in the dark, so I do not get outside during daylight much. However, as long as the weather is moderate my husband and I still and try and give our dog Gatsby at least a short walk after work. Even when its cold, the fresh air feels refreshing and clears your sluggish brain. If you can afford it, take a vacation at some point in the winter. This tip is often elusive for me. It’s hard to get away both from a time and money perspective. However, my husband and I did discuss it last February when I was not doing super great, and we agreed that this year we will look into it if even if for just a long weekend. For me a winter vacation means going someplace warm. However, if you are a skier I am sure that type of vacation can help with symptoms since you are outside and active. And when worse comes to worse, remember that spring always shows up! Let me know if you have any good techniques for coping with SAD or the winter blues.